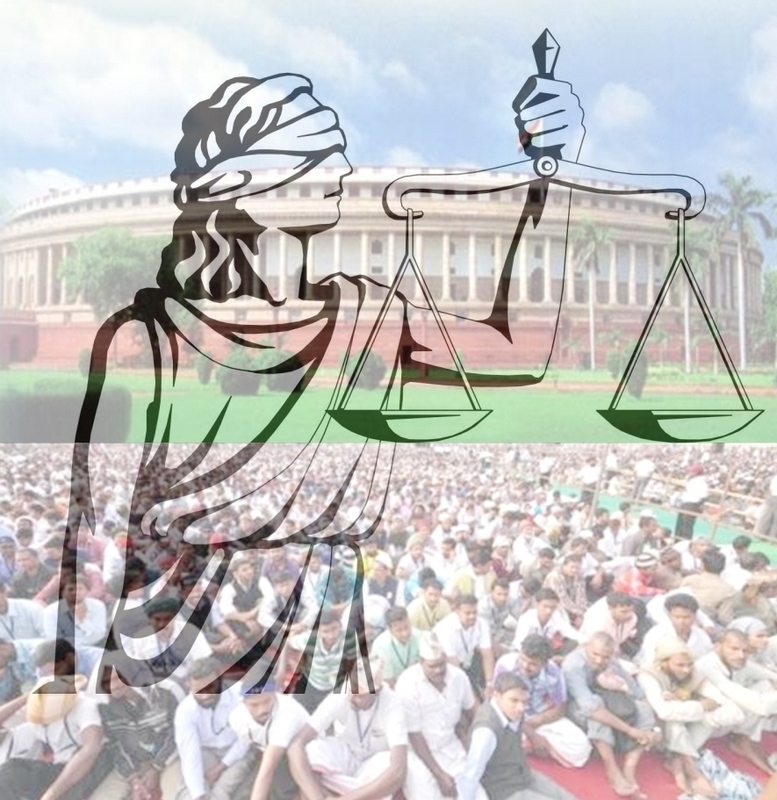 URGENT NEED FOR THE INDIAN JUDICIARY TO ADOPT A MORE INQUISITORIAL APPROACH DURING TRIALS. The Criminal Justice System is there to regulate or administer the powers of the State and the rights of the accused. This regulation or administration is conducted by the judiciary. The task of the Judiciary is to strike a balance between the powers of the Executive and the rights of the accused with the aim of making life bearable for the accused while not limiting the ability of the State to effectively control crime. The perceptions in the minds of the people that the police and prosecuting authority are mere instruments of the governing party, or factions of that party is a disturbing factor which prevents the law abiding citizens from being an effective part of the policing process. The political deployment of individuals who lacked the requisite skills and experience to perform these tasks was crippling the effectiveness of the system to be responsive to the citizens needs. Neither the State nor the citizen can enjoy absolute power or absolute rights. Compromise is essential to promote the public good. Judiciary plays an important role in maintaining the principle of legality. Without this, the foundations for liberty do not exist. To enhance the effectiveness of the criminal justice system there is a need for government to upgrade the skill levels of detectives in order to enhance the investigation of crimes as this gives impetus to successful prosecution. The law has to be applied consistently and equally to all citizens, regardless of position or authority only then would confidence in the criminal justice system be inspired. A call for accountability across the entire system is highly desirable. The core reason for the breakdown in the effectiveness of the system was due to the erosion of accountability across all departments. Poor detective work which resulted in failed prosecutions is not dealt with punitively by the Judiciary. Poor work done by any part of the system results in postponement of cases as a result the system becomes clogged and can not function as it is supposed to. Yet, nothing happens to those who are responsible for the delays or the poor work. It has become all the more appropriate for the Indian Judiciary to adopt a more inquisitorial approach during hearings. This would give judicial officers more power to hold accountable those people who simply do not adequately prepare for court hearings. The menace of seeking adjournments should sternly be countered. Whenever Judicial Officers and Judges take a day off matters for that day should be taken up the next day instead of giving long dates so that cases do not drag on for a longer period of time. Strategic interventions by the Indian Judiciary will enhance the functioning and effectiveness of the Criminal Justice System. It is time Indians became united behind the fight against crime, as it affects us all equally irrespective of considerations of any nature whatsoever. LASTLY, IT IS TIME THAT THE INDIAN JUDICIARY SINCERELY STARTS RESPECTING THE RIGHTS OF THE VICTIMS & THEIR FAMILIES AS THEY ARE THOSE UNFORTUNATE SOULS WHO ARE VICTIMS OF CIRCUMSTANCES AND NOBODY SO FAR HAS REALLY BOTHERED ABOUT THEM AND THEIR PLIGHT WHETHER IT BE THE LEGISLATURE, JUDICIARY OR THE EXECUTIVE. They are the ones who are doing their duty as true citizens in helping the society to fight crime and criminals by coming forward and reporting the commission of crime by criminals to the police & NOBODY BOTHERS ABOUT THEM not knowing that that they could prove to be NAXALITES & MAOISTS IN THE NEAR FUTURE because every citizen of INDIA aspires for JUSTICE & RIGHTFULLY DESERVES JUSTICE COME WHAT MAY. To speed up the process of dispensation of justice, there is an urgent need that the judiciary right from the Supreme Court down to the Trial Courts have to rigorously with a heavy hand curb the menace of adjournments & ensure that lawyers stop the diseased practice of intentionally dragging cases & the judiciary should also ensure that lawyers come prepared for the hearings & not just to mark their presence on the dates of hearing.